​Is that the smell of a potential reunion in the air? Probably not. But something interesting is definitely going on. ​Kyrie Irving told the media that he ​called LeBron James to apologize after he had a meltdown that saw Irving call out his Celtics' teammates following a run of bad performances. Irving is starting to understand just how difficult it can be to ​lead a team through a losing streak and wanted to reiterate to James that he understands the stress of being a leader. What's perhaps even more interesting, however, is who was ​with LeBron James at dinner when Irving gave ​The King a call. James was reportedly dining with former teammate ​Kevin Love who has been dealing with a toe injury for much of the season. James, Love and Irving were once a 'big three' that challenged the Warriors in the NBA Finals for multiple seasons, of course. Now, they're completely unassociated with each other. This almost feels...staged. But LeBron would never do that...right? 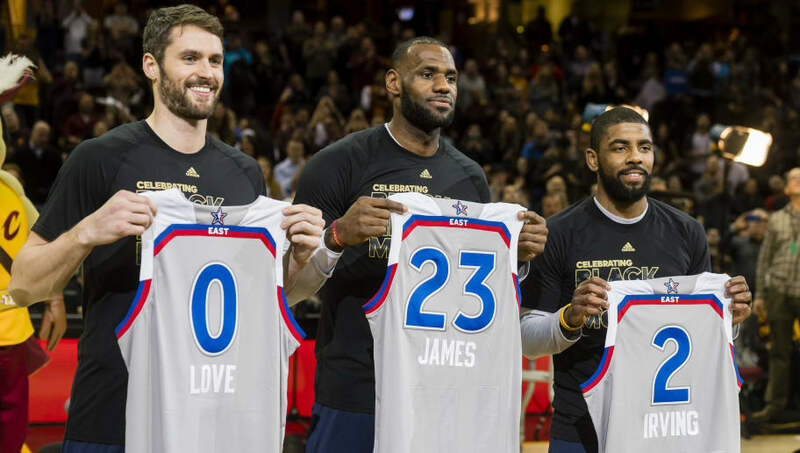 Why ​Kevin Love was at dinner with LeBron James is beyond me, other than the idea that two old friends were catching up for a meal. The fact that Kyrie called during the occasion is pretty insane, however. Hard to fathom he chose that exact cosmic moment to reach out to his former mentor. Kyrie speaks on calling LeBron and apologizing after understanding what it takes to lead a team. While it's nearly impossible that the three star players reunite for another shot at a championship, it's interesting to see how they have progressed, but managed to remain close. While Irving has separated himself lately and made efforts to be the man in Boston, it's interesting that he called James in order to offer an apologize for ​how he acted as a young player in the league.